This year marks the 200th anniversary of the publication of Mary Shelly’s Frankenstein: or, the Modern Prometheus. 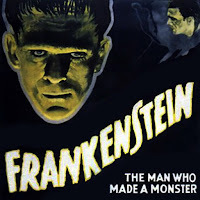 The 1931 Universal Studios’ film adaptation of Frankenstein brought Shelly’s story to a mass audience. The mad Dr. Frankenstein, consumed with the desire to discover and control the secret of life, and the Monster he created have shaped our cultural narrative around the tension between science and technology and nature and the divine ever since. Frankenstein typifies our perennial worries about the dangers of human hubris in pursuit of scientific knowledge and control over the natural world. In the film, when Dr. Frankenstein sees the first twitching movements of his creation, he exclaims “It’s alive! In the name of God! Now I know what it feels like to be God!” In this pivotal scene, we find Dr. Frankenstein not only marveling at his creative power, but implicitly declaring that artificial life will inevitably be monstrous because it lacks the sacred touch of the (truly) divine. With each new advance in technology, like reproductive technologies from IVF to gene editing, there are those who worry that humanity is overstepping the natural bounds of our domain. The film raises additional interesting questions. Dr. Frankenstein unknowingly inserts the abnormal brain of a criminal into the patchwork body he has created. Before discovering this mistake, he is confident in his experiment. After it is revealed, he too becomes horrified by his creation. The film also introduces Dr. Frankenstein’s assistant Fritz who has a physical disability, a hunchback. (Universal Studios’ Rule #4 for horror films requires a secondary character of weird appearance.) Fritz torments the Monster, terrorizing him with a lighted torch. 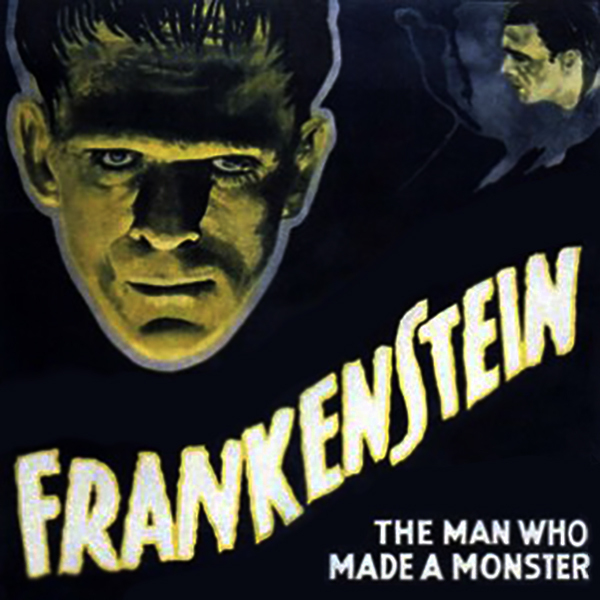 The film version of the Monster is not just scary but scared himself. Is Frankenstein’s creation monstrous because he is unnatural or because of his damaged brain or because he is abused and unloved? Were the outcomes determined by the very act of crossing sacred boundaries or only by the subsequent failure to engage with human artifice in ways that honor everyday human values? In the tradition of all great literature and film, Frankenstein does not neatly answer these timeless but ever more urgent questions. We, the audience, must wrestle with them ourselves and with each other. This entry was posted in Health Care and tagged gene editing, IVF, reproductive technology, syndicated. Posted by Practical Bioethics. Bookmark the permalink. Now, this is an interesting coincidence, as I was watching “Big Fish” on Amazon Video whilst visiting my mother during her last week in this world. I was summoned to Portland by my physician brother who told me that my mother was dying. She had been ill and we expected her to pass a year ago, but she rallied and was discharged from hospice. But now, she was having another heart attack and we had decided that with her progressive dementia and renal failure, she would not undergo dialysis. We had this discussion with her before the first heart attack and she had agreed with the plan. She was lucid enough to understand the consequences of this decision. As she became progressively more demented, we confirmed with another discussion. She felt that her life was complete and she was ready to go. My father had passed away 6 years ago, and most of their friends had died. She had suffered increasing dementia, complete deafness and renal failure. She was struggling to maintain her dignity with loss of control of her life and basic bodily functions. The heart failure was going to be the last straw. I watched the movie whilst she was sleeping and was actually surprised that there was not much discussion about this kind of stuff in this movie. This is a story about a young man who is coming to terms with the tales that his father told him when he was young. The son thought that the stories were just that, stories, and he did not respect his father as he perceived them as lies. Towards the end of the movie, he finally comes to terms with his father’s identity through these stories, which were at least partially true and perhaps a little exaggerated. His father then dies and becomes the “Big Fish” that haunts the waters of the local river. Was it symbolic that the fish got away? So was this intentional, leaving out the elephant in the room. It was implied through the whole movie that the father was dying. He did not talk about his feelings, his love, legacy and his wishes for the living. They certainly did not talk about invasive therapy and life support. Maybe, if they did, no one will watch the movie. At any rate, it seems like such a different death than the one I was witnessing. We discussed all these things as a family with my mother. She also had lived an amazing life, surviving the Japanese occupation in China, the communist takeover, decades in the Middle East and watching her children vanish into the West, another “Big Fish” story, but this one did not get away. * Written by Jane Lombard, MD, MBA a board member with the Center for Practical Bioethics. This entry was posted in Health Care and tagged advance care planning, advance directives, end of life planning, syndicated. Posted by Practical Bioethics. Bookmark the permalink. Dying is hard work. Preparing to die is hard work. Watching someone you love die is hard work. It is the hardest work a family does. Want to know another thing that can be hard work in a family? 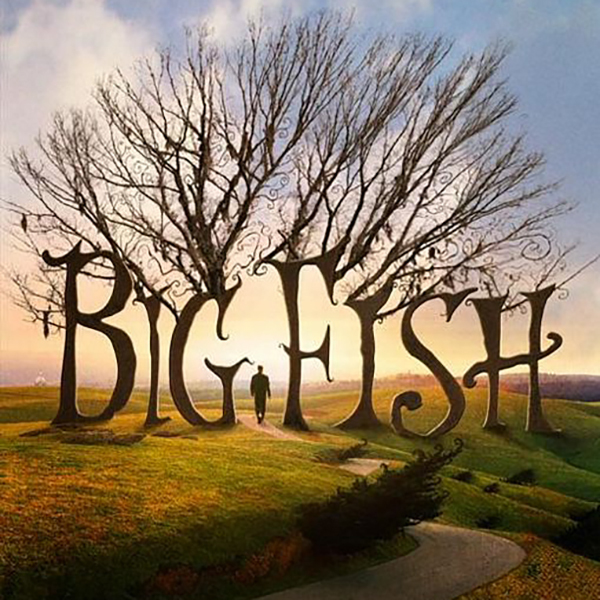 Big Fish struck a chord because I encounter so many families with crushingly difficult personal relationships with one another. Having a challenging communication struggle with a family member, especially a parent, can sometimes be “managed” to get through family events--holidays, graduations. In Big Fish, the son simply moved thousands of miles away to avoid the issue. Absent a crisis, there are many ways to get through the family communication muddle in closer proximity and make it past the bad times. Known family “work-arounds” are paths well worn. Happily, eventually, people forget that the graduation party was a disappointment because of one family member’s behavior, or the memory fades of the Christmas that part of the family did not show up even though they were expected, and preparations had been made. But death in the family is different. It just happens once for each of us. When that does not “go well” as we say, everyone remembers. The consequences can be dire and permanent, relationships irrevocably destroyed. At the time a loved one is dying, a lifetime of good family communication is worth its weight in gold. The stakes are the highest they can be. 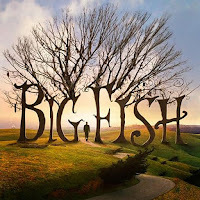 Big Fish is about many things, but family communication or lack thereof is at its heart. It is about the consequences of talking without really communicating and the debilitating frustration that can ensue. The son’s strategy of literally distancing himself by living abroad crumbled with the news of his dad’s cancer being beyond chemo treatments. The achingly beautiful but fantastical stories Dad tells Will and others about his life (mostly absent from the family home) evoked entirely different responses from his wife and daughter-in-law than they did from his son. Will’s struggle with “believing for too long” and then learning that what his dad told him “was impossible” became too much to bear. Without a lifetime of good communication, Will arrived at his dad’s deathbed with an empty tank. Many of us share Will’s need to set the record straight, to take one last shot at getting his dad to come clean, to tell the truth and to make things right. “I want to know who you really are!” And dad’s frustrated reply “Who do you want me to be?” Will: “YOURSELF, just yourself!” And dad’s angry reply, “I have been nothing but myself since the day I was born, and if you can’t see that, it’s your failing, not mine.” Will stalks out. * Visit the website for a list of upcoming events at the Center for Practical Bioethics. This entry was posted in Health Care and tagged advance care planning, end of life planning, syndicated. Posted by Practical Bioethics. Bookmark the permalink. It’s October and the Center for Practical Bioethics is about to kickoff our fall film series: Science, Medicine &Unintended Consequences. 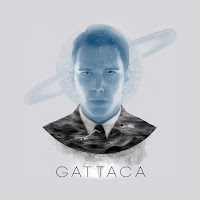 Our first entry in the three-film series is Gattaca (1997), staring Ethan Hawke, Uma Thurman, and Jude Law. Directed by Andrew Niccol, Gattaca is set in a near-future where reproductive eugenics is available to would-be parents. There we find a stratified society, in which opportunity is reserved for those with tailored genes (and presumably parents rich enough to pay for them), even while genetic discrimination is technically illegal. The movie gives shape to the various anxieties that accompany discussion of genetic engineering in humans. Given the ability to identify appealing genetic traits, what would happen if we designed our offspring? Given the knowledge of how our genes will affect our future health, what would happen if that information were available to potential employers. We see both the effects it could have on our society; regular genetic screening, structural discrimination, but also the effects it could have on individuals; parents alienated from their children, crises of identity and inadequacy. Overall, the world of Gattaca is depicted as clearly dystopic, but twenty years after the film’s production consumer genetic screening products are finding their way into the markets, and powerful genetic editing technologies are being used on human cells for the first time. I don’t believe that these technologies will necessarily lead us to a dystopian future, but movies like Gattaca remind us that they can cast long shadows. Careful consideration, a robust ethical framework, and broad-based discussion are essential to successfully identifying and avoiding the risks associated with emerging technologies. On that note, I hope that everyone enjoys our screening of Gattaca and the discussion that will follow! Matthew Pjecha is a Program Associate at the Center for Practical Bioethics. This entry was posted in Health Care and tagged genetic programming, genomics, reproductive eugenics, syndicated. Posted by Practical Bioethics. Bookmark the permalink. Fifteen years ago in the aftermath of 9/11, I was invited to respond as an Ethics panelist to a new, self-published book, The Fundamentals of Extremism (Blaker, et al., New Boston Books, Inc., 2003). The authors aimed to expose “the Christian Right” as a danger to democracy. While I sympathized with chief editor Kimberly Blaker’s agenda, the book itself struck me as taking much the same rhetorical tack as the religious fundamentalists that she and her co-authors vociferously critiqued. My invitation to a book-signing event came with the expectation that I, a progressive clergyman ethicist, would be an enthusiastic proponent who might also help sell a few books. While preparing remarks, I was challenged with the dilemma of not wanting to disappoint a young author with worthy aims, while also engaging in truth-telling as I saw it. Most importantly, I wished not to support or practice the very thing we both condemned: divisive, speculative, paranoid, demonizing fundamentalist—or even anti-fundamentalist—rhetoric. Unfortunately, to my Ethics eyes, The Fundamentals of Extremism was pretty much what it denounced. So, for my panel presentation, I resorted to writing poetry, or possibly doggerel - an Ethics response in rhyme. It seemed to me then, and now, that our ideological divisions are ameliorated best by civil discourse laced with mutual respect and a dose of good humor. This is difficult, and especially so when the stakes appear high, as they did back then, and now. Yet, if we who disagree with political or religious extremism engage in the same sort of rhetoric and behaviors as those we oppose, if our own claims are factually challenged anecdotes and innuendo, we only foster more schism and less democracy. This is the poem I wrote (with minor edits). I think it still works in the partisan era of Trump. And separate myself from those who foster any schism. And other such extremists whom the rest of us must fight. Their paranoia leads them to engage conspiracy. Dichotomize and simplify our thinking and our seeing. Strikes me as absolutely wrong, as I’m compelled to tell you. Another thought has struck me, and has left me feeling meek. Is one that tempts both Right and Left as human tendency. Sometimes I look into the mirror and see “Them” looking back. * A pejorative slang abbreviation that refers to religious fundamentalists of any religion or denomination. Dr. Rosell is the Rosemary Flanigan Chair at the Center for Practical Bioethics. He is also Professor of Pastoral Theology at Central Baptist Theological Seminary, Clinical Professor, History and Philosophy of Medicine at the University of Kansas Medical Center, School of Medicine, and Chair of the Department of Bioethics at Kansas City University of Medicine and Biosciences. This entry was posted in Health Care and tagged religious fundamentalism, religious fundamentalist, syndicated, Trump partisan era. Posted by Practical Bioethics. Bookmark the permalink.